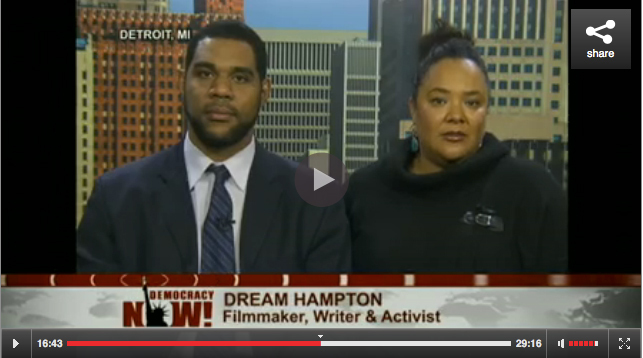 Dawud Walid and dream hampton breakdown the racist history of Dearborn Heights and “criminalizing Black corpses with Democracy Now in an interview about the Renisha McBride case. Categories: Activism, Justice, tagged Dawud Walid, Dearborn, Democracy Now!, dream hampton, Renisha McBride by admin. Bookmark.